VA720a mix of performance and style. Sharp picture quality in a slim, stylish, design that turns your monitor into an entertainment centerpiece. Youll get lifelike images with the high 450:1 contrast ratio, 250-nit brightness and a 1280x1024 native resolution. The ultra-thin 2.7" LCD saves desk space, while the elegant metallic-on-black look states your style. 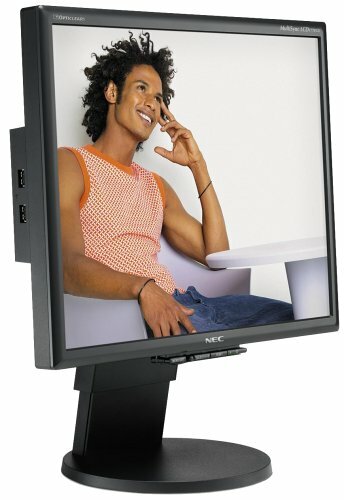 The ViewSonic VA720will change the way you view your computer monitor. Please Note1: This is a refurbished item. This product is sold as is and cannot be returned. See product warranty for details. For more details, click here. This item is only available for purchase online. I just bought my viewsonic VA720 today. At home I plugged it in, it is very good looking and has a very sharp picture. At first the image was a little shaky and I couldn't understand why. Then I discovered the auto-adjust feature, which is very useful. I ran it and the weird lines disappeared. The only problem with the monitor is that it has a dead pixel. When the monitor shows a black screen the pixel shows up magenta. It really is an eye sore. I am going to take it back to the store tomorrow see if I can get it replaced. Everything is super, just for that lonesome pixel. If it weren't for that defect I would have given it a perfect 5. Crisp and sharp images, slim and sleek design.Definetely compliments any computer system.Game play is great! VERY impressed with this monitor. Outstanding resolution and color. By far and away the best at displaying text of any 17" I have looked at. I have yet to do video editing with this monitor, and Viewsonic doesn't provide a refresh rate for it, so I am a little nervous about that. But as someone who doesn't "game" and mostly uses this for graphics and text work, this is outstanding. My only gripe is that the screen bounces a little when I type, but I haven't seen a 17" that didn't . . . And although it isn't as handsome as the NEC or even the Sony, it's no eyesore. And the image blows those two away. This is a nice piece of hardware. I brought it about two weeks ago to replace a HP Pavilion 15 inch monitor and I can honestly say I will never go back to it again. It had no dead pixels, and the image was clear and bright. I had to lower the contrast and brightness a lot to make it comfortable. It helps to know the option is there though. Installation was easy. Just plug it in and turn on the computer - the Auto Image Adjust feature centers and sizes picture to fit the screen. It's good to have a recent video card too, otherwise it probably wouldn't work to its fullest potential. Unfortunately it doesn't have a digital connection, but analog works perfectly fine. You don't have to install the drivers if you don't want to, but if you do, go to ViewSonic's website and get the most current ones. Something was wrong with the ones on the CD. As with any other LCD, the native resolution of this 17" is 1280x1024. If you jump from 800x600 it's quite a leap for the eyes, but in about a week or so you won't have any problems. Now, about the important stuff...how well do programs run? Everything works and looks fantastic on this monitor. I can't stop watching DVDs on it. The movies are sharp and the colors look much livelier than before. Games run exceptionally well on it. I was worried about that before I purchased it. But it can support up to 75Hz refresh rate at its native resolution, so games run without any problems. The text is very sharp too, but unless you use ClearType in Windows XP, it might be a little harder to read. I have a few small gripes though. Sometimes it's annoying not to be able to control the hight of the monitor. Once you put it onyour desk, all you can do is tilt it back and forth, not up and down. It hasn't been an incovenience for me, but I can understand why someone would need to adjust height once in a while. Most LCD monitors allow that. On the other hand, it allows itself to be mounted on a wall, so it's really a matter of preference. Another thing is that at really low resolutions, like 640x480 some of the picture gets cut off on top. The automatic image adjust feature should scale it to fit the screen. Nevertheless, it doesn't. It makes some games difficult to play. Certain EA Sports games have menus set in that resolution. For most applications and games, however, this doesn't present any problems. If you dont want to read all that up there, here's a breakdown. 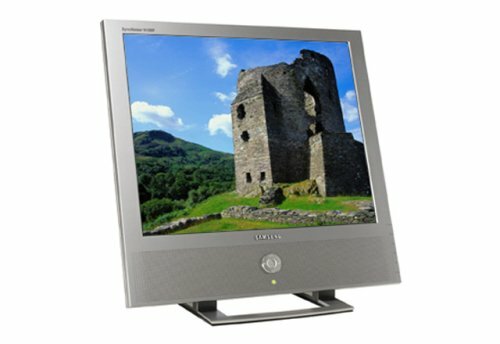 1) Very sleek design, silver frame and black stand really compliment virtually any computer system. 2) Fantastic picture - bright, vivid colors make movies extremely enjoyable to watch. Sharp text makes it easy to read any kind of document. Excellent monitor, extremely good value! I previously purchased a Samsung SyncMaster 710n 17" LCD Monitor from Amazon (via TigerDirect) and was not totally satisified with the image quality. Because of a tragic shortage of desk space (eaten up by hulking CRT monitors) I revisited LCD panels with this NEC device (again from TigerDirect, but ordered through Amazon). The NEC is by far the superior product. It is equally bright, the colours are strong and clear, image rendering is excellent. Also, there is absolutely no subtle flickering or image jitter which I noticed with the Samsung. No matter how much I fiddled with that one, I could never get the image to be both rock-steady and totally clear. The NEC has never exhibited any such problem and worked excellently without any adjustment (other than the 'auto-setup' it went through), right out of the box. Love it want to buy a second one. Picture is very nice, clear, smooth, and bright.I certainly don't miss my old CRT.The stand it comes with is the best I've come across yet.It adjusts for hight, pan (left/right), and tilt(forward/back) without much effort and nothing to tighten/loosen to get it to stay put.It'll rotate 90 degrees as well but haven't found a use for that yet.I use mine for gaming, movies/tv, photo work, and regular BS.Much easier on the eyes and doesn't ghost when the action moves fast.While I would love it even more if it had a higher resolution that 1280x1040, I'll never go back to CRT's to get it. No dead pixals yet (X fingers) but then again all LCD get them sooner or later.It's been in operation since Feb 2004. Since the beginning of the year, all monitors at the place where I work are being gradually replaced by Viewsonic VE710 units. 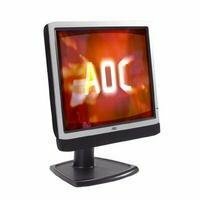 It was my first experience using an LCD monitor on a daily basis, and after few weeks, I wanted to purchase one for myself. I decided on the model VP171B mostly for the DVI connector. After receiving it, I noticed bad pixels on the screen. I contacted Amazon and asked for a replacement. The new one arrived in three days (thank you Amazon, you rule! ), and guess what? Bad pixels again. I may not be the luckiest person but, what are the odds of getting two bad monitors in a row? The only explanation I can find is poor quality control. Even though I liked the design and functionality of the monitor, I cannot recommend it. 5 months and it breaks.. I loved this monitor, it had beautiful color and resolution every thing that I need for working on video editing.That is until it just went black in the middle of my project due in three days!How could something held in such high respect be so lacking of quality.I took every step to ensure this monitor wouldn't burn out any time soon.It never sat on, never was left to burn the image, and always dusted and kept clean. Honestly, just to be fair I am sure I got one out of 500 that break.However I have to pay shipping to get it to Viewsonic for warranty repair/replacement; that is not good service.Then after three seperate emails I am not told how long it will take to get it back and that if I want an express exchange to get one immediately, I am told they will have to put an authorization on my card for the retail amount of the monitor. Still no word from them on return time estimate.I would have to fear what the other person says about warranty service and hope that the $3000 computer I used this with doesn't sit and waste in the time that it will take to be back at work again. We shall see, however I would not recommend this monitor nor would I buy another after my initial experience with it and the company. This is the best monitor out there, the features packed into it such as 2 analog inputs, 1 dvi input, portrait and landscape screen rotation, sliding telescopic stand (not like Dell's which only "pops" from low to high) and the clarity and crispness of the images could not be beat. I shopped around for months before making the leap to LCD, and after bringing home (and then returning) monitors from Dell, Sharp and Samsung - on every level, Viewsonic's VP171B is the best. When the price dropped to $519 on Amazon, I decided to replace all my CRTs, I BOUGHT 3 OF THEM! Excellent Picture, Wide HDTV, PIP, PC monitor under 1K! Our review is based on the fact our unit has not broken down in the month we've had it (unlike the other 1 review currently published here).We love this set. The picture quality is superb, even with SDTV via Time Warner digital cable.HDTV output is fabulous.Nice bright images with good contrast without the usual "noise" which was our primary criteria for choosing this unit.Sound quality is good for a bedroom but there are no audio outs for those wanting to add additional speakers (we didn't).It is VESA compliant and is under $1K usually.It also has PIP with an additional tuner (VCR) and can be used as a computer monitor.What more can you ask for a thousand bucks. Videoseven's 19-inch L19PS flat-panel LCD combines a sleek black-and-silver design with the latest display technologies. The monitor takes advantage of Fujitsu's high-quality MVA panel technology (Multi-Domain Vertical Alignment) to ensure cutting-edge performance, boasting a 21 ms response time, a brightness rating of 300 cd/m2, a dynamic 500:1 contrast ratio, and stellar viewing angles of 170 degrees (horizontal/vertical). Its 19-inch, 4:3 aspect-ratio screen and 14.8-by-11.9-inch viewing area make it ideal for complex image processing or CAD/CAE applications. And, thanks to its DDC2B plug-and-play compliance and a handy 15-pin D-sub signal input (cable supplied), the screen is a snap to integrate with your existing hardware. 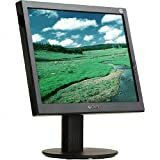 LCD screens offer a number of benefits over CRT monitors, including general ease of use, freedom from eye strain (no screen flickering or radiation emissions), quiet operation (no high-pitch "flyback" noise, an issue with CRT monitors), accurate image geometry (no curvature distortion or susceptibility to magnetic interference from, say, speakers), long screen life, space savings, and light weight/easy positioning. The L19PS's two onboard speakers are driven by 2.5 watts apiece, sufficient for clear, reasonably loud PC sound in the immediate vicinity of the screen. It's wall mountable and is outfitted with a Kensington lock to secure your investment. This TV is exactly what it says it is.It is an "HD-compatible TV" with SVGA capable display (800x600 resolution)in 600 lines of resolution, normal TV is 480 lines. So for those of you crying about it being 'false advertising', pay attention next time to the description of the product.Anything above 480 lines is HD-compatible, with true HD starting at 720 lines up to 1020 lines of resolution.A SVGA display capability is 800x600 for a computer monitor and that is what this TV gives.1280x720 is XVGA.RCA also does not claim this is a Widescreen format (16:9), so the 4:3 format while better than normal TV is not true widescreen so the black bars will appear still on DVD widescreen pictures just less of them. FALSELY ADVERTISED as an HDTV. . . . Neither the shape of its screen (4:3) nor the resolution (800x600) nor even the *analog* NTSC tuner have anything to do with HDTV. Only the RGB/component video inputs have any relevance to High Definition signals, but still would never display full HD quality on this particular model. This is basically pitching a four-cylinder car as a V-8, just because both can take hi-octane gasoline. . . .<br /> <br /> Unless it has a digital tuner (ATSC, not NTSC) *and* has at least 1280x720 resolution *and* is 16:9 widescreen, it's inaccurate to call it an HDTV. This item was steal, the picture quality is superb the size is outrageous and the quality is great.Dont hesitate on this item. Compact enough for personal computing or kitchen viewing and good enough for use in small-scale home theaters, Sharp's 26-inch LC-32GD4U Advanced Super View LCD television is picture-frame thin yet still houses both standard NTSC and digital ATSC (HDTV) tuners, as well as all necessary inputs and output jacks, so there's no need for supplementary connection or DTV receiver boxes; the 1,366 x 768-resolution television is ready to go right out of its box. A member of Sharp's stylish AQUOS line, the LC-32GD4U offers a widescreen 16:9 aspect ratio to match your favorite movies, and compatibility with high-definition video sources up to 1080i. The set includes 2 detachable, high-aperture aluminum speakers powered by 10 watts per channel. At just 4 inches deep without its detachable stand, the set is as unobtrusive as a big-screen TV can get, and it's versatile enough to handle wall or table placement. A handy PC Card slot lets you record still images and video on a PC Card and view them on the TV, and Sharp's proprietary Quick Shoot video circuit ensures a lightning-quick response time of less than 16 ms for smooth-as-silk video and gaming graphics. The set's authorized CableCARD ability means the set will also receive digital cable television systems services directly from the cable operator without requiring a bulky, external cable box. LCD screens offer a number of benefits over CRT monitors and televisions, including general ease of use, freedom from eye strain (no screen flickering or radiation emissions), quiet operation (no high-pitch "flyback" noise, an issue with CRT TVs), accurate image geometry (no curvature distortion or susceptibility to magnetic interference from, say, speakers), long screen life (no risk of image burn-in), space savings, and light weight/easy positioning. They also tend to be cheaper and, to some eyes, slightly more natural looking than their plasma flat-panel counterparts, which usually "spec" higher (higher brightness, higher contrast ratio). The LC-32GD4U's Advanced Super View/black TFT (thin-film-transistor) screen offers exceptionally wide (170- by 170-degree) viewing angles and an extraordinary contrast ratio of 800:1 for super-black blacks. 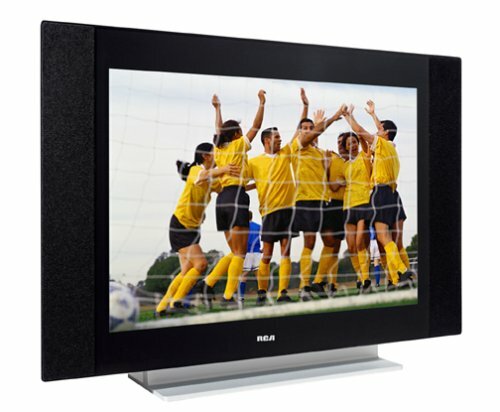 Its high brightness (450 cd/m2) ensures wide dynamic range for vivid colors, great depth, and realism. You can place it anywhere--near windows, doors, or other light sources--and its picture will remain vivid. And, with its 60,000-hour lamp life, the backlight life is long enough to give you viewing pleasure for many years. Connections consist of 2 high-definition component-video inputs, 1 DVI-I (Digital Visual Interface-Integrated) input, 1 HDMI (High Definition Multimedia Interface) input, 3 composite-video inputs, 1 S-video input, and 1 RF input (HDTV reception may require an antenna). An audio/video output (composite- and S-video with stereo analog audio) facilitates hookup with a surround receiver, DVR, VCR, or other destination. DVI-I is a direct-digital DVI terminal capable of transmitting both analog and digital video data. HDMI (High-Definition Multimedia Interface) is a lossless, uncompressed, all-digital audio/video interface to link any audio/video source (such as a set-top box, DVD player, or AV receiver) with your TV or monitor. HDMI supports standard-definition (SD), enhanced definition (ED), or high-definition (HD) video, plus multi-channel digital audio--all using a single cable. It transmits all ATSC HDTV standards and supports up to 8-channel digital audio, with bandwidth to spare to accommodate future enhancements and requirements. 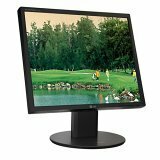 The E172FP 17-inch Flat-Panel LCD monitor is a Dell-produced monitor, and lives up to market standards in terms of clarity, usability, and color depth. 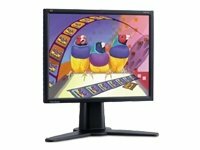 The E172FP has a full, rich color range, with a powerful user-customization tool so you can edit the RGB values to suit your personal liking.Full plug-and-play support is a great tool, and although Dell includes a 'driver installation' CD, it isn't really necessary.The monitor will perform up to 1280 x 1024 pixel depth, and remains true-to-form with image hues and clarity. I own a laptop and dabble in graphic design.This monitor has been a godsend, and a wonderful investment; whenever I create images, I do it on the Dell monitor.Its color reproduction is as close to 'real' as any monitor I've worked on.The thin, sleek LCD technology is a huge space-saver, and the user interface is simple and powerful. There is, however, a design flaw in this monitor.I have used other monitors with this laptop before, and have yet to encounter this problem... the EF172FP bleeds AC power through the monitor cable.I'm still puzzled as to how such a thing can occur, but even after Dell replaced my first EF172FP (for the same problem), the replacement model does the same thing.This is most noticable in regard to audio:I was first alerted to the problem by a pronounced 'hum' in my speakers.I found that this 60 Hz hum was due to the monitor's attachment to my computer, and much to my shock, was bleeding AC power onto my system board!I've checked around, and this is not a critical problem (it won't damage your computer in the long run), but it's annoying if you use your computer for audio purposes.If your computer is attached to a powered speaker system, you will encounter hum. 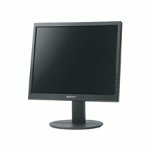 Sony's SDM-S73 17-inch LCD monitor offers outstanding viewing performance, reduced power consumption, and versatile ergonomics. With 1,280 x 1,024 resolution, 500:1 contrast ratio, and ErgoBright technology, images are crisp and sharp. And, plug-and-play setup makes getting started a breeze for both PC and Mac users alike. Sony's ErgoBright technology offers the unique capability of automatically sensing light levels in your surrounding environment and automatically adjusts screen brightness accordingly, from 50 to 300 nits. Not only does this aid viewing comfort, but it also works to save you money. And, if you work in a consistent light setting, the ErgoBright technology can be switched off in favor of one of three permanent settings (high, medium, or low). The SDM-S73 offers a removable base for optional VESA wall-mounting, plus wide 160-degree horizontal and vertical viewing angles. When operating with the stand, users will appreciate the adjustable tilt features, with a wide tilt range from -5 to +30 degrees. The SDM-S73 comes backed by a generous three-year warranty on parts and labor, and includes everything you'll need to get started. Say goodbye to bulky, low-res television and say hello to Polaroid's LCD-2000. This 20-inch LCD TV produces exciting, perfectly flat images while occupying minimal space in your office, bedroom, kitchen, or living room. 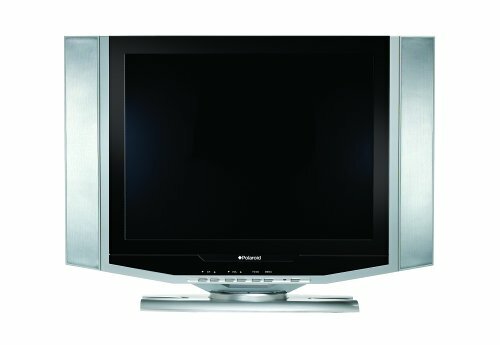 The 640 x 480-resolution television includes an NTSC tuner for immediate off-air reception, and it's also ideal for use with a DTV receiver, a progressive-scan DVD player, a VCR, or even your computer for dual-purpose viewing. The set is configured in a standard, 4:3 aspect ratio that matches most broadcast TV dimensions and accepts both standard-definition 480i and enhanced-definition 480p signals. And with its 350:1 contrast ratio, impressive 450 cd/m2 brightness rating, and onboard digital comb filter (which separates the color signals to minimize dot crawl and blurred edges), the set renders sharp, focused images that look great regardless of their source. It also features super-wide, 176-degree viewing angles so everyone in the room can enjoy a great view. 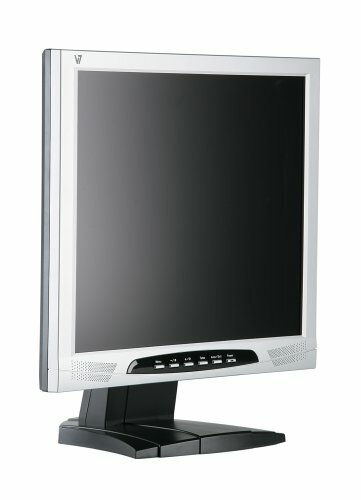 LCD screens offer a number of benefits over CRT monitors and televisions, including general ease of use, freedom from eye strain (no screen flickering or radiation emissions), quiet operation (no high-pitch "flyback" noise, an issue with CRT TVs), accurate image geometry (no curvature distortion or susceptibility to magnetic interference from, say, speakers), long screen life (with no risk of image burn-in), space savings, and--at a mere 23 pounds--light weight/easy positioning. They also tend to be more affordable than their flat-panel plasma counterparts, which often (though not always) offer faster response times and higher contrast ratios. Connections consist of a VGA (15-pin D-Sub) PC input with minijack audio, an RF coaxial antenna/video input, and 1 each component-video, composite-video, and S-video inputs with 1 stereo analog (left/right) RCA audio input between them. Other features of the LCD-2000 include stereo speakers with 1.5 watts per channel (x 2), a sleep timer, a headphone jack for private listening, and a full-function remote control. I have to say, I am really impressed with the quality of this TV for the price.It has many features found on much higher priced televisions, yet is very simple to operate.The picture quality is excellent for a tv in this price range and installation onto a wall mount was a breeze.I mounted this tv above the double doors in my bedroom (where I had an electrical and cable outlet installed when we built the house) and it looks great!Very sleek and stylish, I need a new TV for our living room too, and If Poloroid makes a large screen flat screen I will definately look into it as well.Very satisfied here! We recently purchased the Polaroid 20 inch LCD Flat Panel TV. It has clear, crisp pictures with unbelieveable color. The onscreen program guide is easy to follow when adjusting color, size, etc. I also recieved the Polariod portable DVD player with the pivitable screen for Christmas. I am very impressed and satisfied with the Polaroid company and plan on purchasing more items from them in the future!!! I did order the 15 Pin VGA M-M cable but the monitor can only work at 800X600 or 640X480. Don't expect too much as having a 20" PC monitor. Good TV indeed. I have tried out with PS2 and regular cable. It works gret. The SDM-S73 offers a removable base for optional VESA wall-mounting, plus wide 160-degree horizontal and vertical viewing angles. When operating with the stand, users will appreciate the adjustable height features, along with a wide tilt range from -5 to +30 degrees. 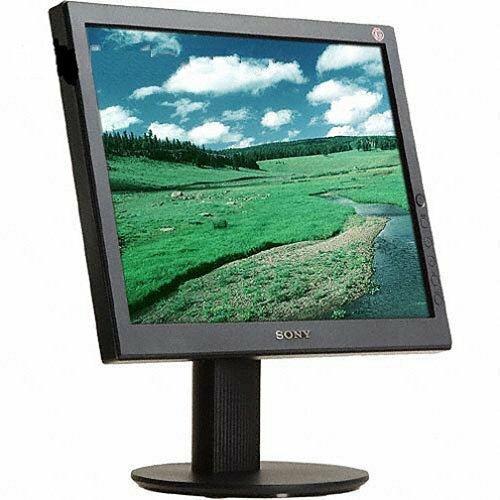 The Sony SDM-S73 is a very good monitor for the price.I purchased a lower cost 17" LCD and was VERY DISAPPOINTED as its display was not clear and had 2 dead pixels.It went directly to eBay; I purchased this monitor as a replacement for use with my Mac iBook. When I connected the Sony, my first impression was dismay and a feeling of de ja vu.Was this another bad product?Silver items in the Mac OS X aqua interface (Safari and the mail client in particular) were tinted an ugly shade of pink!! !UGH!This product was almost returned! I don't see how it can get any better than this! The Samsung SyncMaster 910mp is a 19-inch analog TFT-LCD monitor delivering crisp, clean text and bright, vivid colors. This display offers a 700:1 contrast ratio, 350 cd/m2 brightness, 1280 x 1024 resolution, 160/160 degree viewing angle, scanning frequency of 31-81 kHz horizontal and 56-75 Hz vertical and 0.294mm pixel pitch. 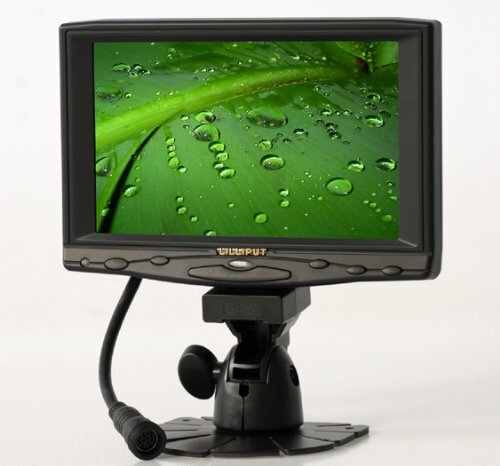 This 19-inch flat-panel display functions as a computer monitor, a TV and a video monitorall in one. And all this versatility comes with the clearest pictures, sharpest images and most vivid colors you can imagine. Armed with a built-in TV tuner, this display is capable of allowing viewers to watch two sources of input at the same time with its Picture-In-Picture feature. The SyncMaster 910mp also features built-in speakers and built-in power. Input connectors for this display include 15-pin D-sub, CVBS, S-Video and TV (antenna/cable). Available in silver, the SyncMaster 910mp delivers a maximum of 16.2 million colors. The monitor is Windows Plug and Play DDC 1/2B compatible. To ensure years of reliable performance, the SyncMaster 910mp is backed by a three-year parts and labor warranty, including the backlight. Toll-free, 24/7 support is also available for the life of the display. Pros: Saves space, can act as a TV, ability to connect VCR etc, using line input. Cons: Mediocre display quality, discoloration in lower half of the screen, Only displays 1280x1024 at 75HZ refresh rate. Speaker sound ok, nothing spectacular. Lacks DVI input, has only Standard Analog display connector. TV picture and captioning fuzzy, strains eyes after watching for some time. Recommendation: If you are a techno-geek, you will notice this short comings and return it. Save yourself some trouble and either buy standalone Samsung LCD monitor or spend more and buy 930MP for better performance and quality.